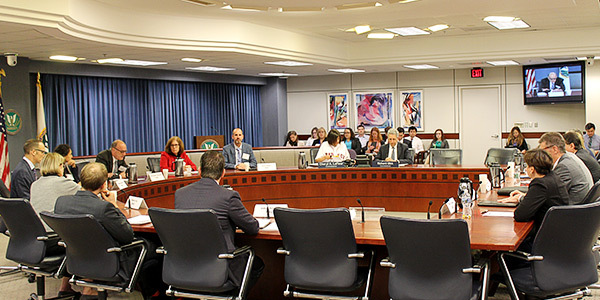 WASHINGTON — Observers of FERC’s technical conference on grid operators’ preparations for winter on Thursday would be forgiven if they experienced deja vu. Most of the RTOs say they are ready; CAISO is keeping an eye on natural gas storage levels but not concerned; and the possibility of fuel shortages during an extended cold spell is keeping ISO-NE officials up at night. 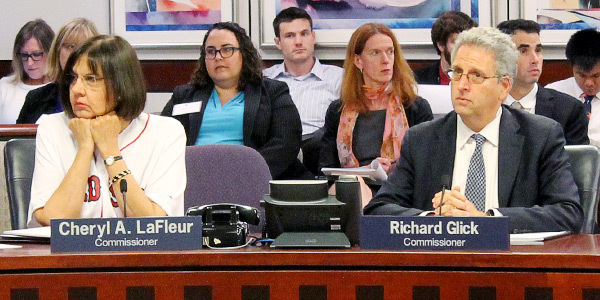 “You know, I feel like we’re in a long-running production of ‘same time next year,’ where every fall you come and say, ‘We have plenty of capacity, we might not have enough gas, I’m cautiously optimistic we can make it through,’” FERC Commissioner Cheryl LaFleur told Peter Brandien, ISO-NE vice president of system operations. The National Oceanic and Atmospheric Administration is predicting a warmer-than-normal winter for most of the U.S., including New England. But Brandien said it is not the average temperature that concerns him; it’s the duration of low temperatures. When gas is short, ISO-NE relies on oil as backup fuel. But severe weather can cause delays not only for barges shipping in LNG, but for trucks carrying barrels of oil. Generators burning oil also face emission limits. In their presentation to commissioners during their open meeting earlier that day, FERC staff also noted this will be the first winter under ISO-NE’s Pay-for-Performance capacity construct, which became effective June 1. The program is intended to better incent generators to perform during scarcity and emergency conditions, and influenced PJM’s Capacity Performance construct. But being the first years of these programs, Brandien said anything beyond a weeklong cold spell was unknown territory for the RTO. 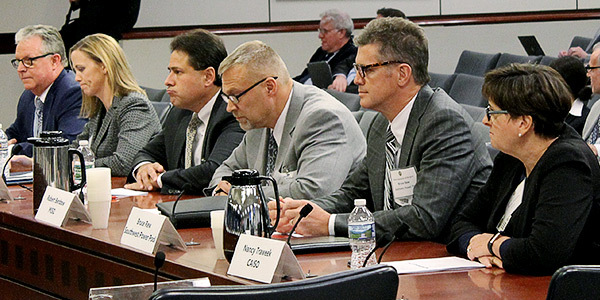 Representatives from the other FERC-jurisdictional grid operators reported that they were able to maintain reliability last winter despite two major cold snaps in January — one including the so-called bomb cyclone — and that they were similarly prepared for this winter. Both Robert Benbow of MISO and Bruce Rew of SPP noted the mid-January cold snap in the South, when both MISO South and SPP set new all-time winter peaks on Jan. 17 of 32.1 GW and 43.6 GW, respectively. Nancy Traweek, executive director of system operations for CAISO, said nothing has changed in regards to gas since last winter. Two pipelines in California — Southern California Edison’s Line 235-2 and Line 4000 — remain out of service, and her “favorite friend,” the Aliso Canyon storage facility, is still a last-resort resource for withdrawals. Rather than winter, Traweek said, the ISO is still concerned about summer. FERC backtracked from its January order directing ISO-NE to develop a market-based approach for its winter reliability program later this year. FERC denied Entergy's request for rehearing of its September order endorsing the interim Winter Reliability Program for ISO-NE. ISO-NE and the New England Power Pool have asked federal regulators to choose between competing proposals.